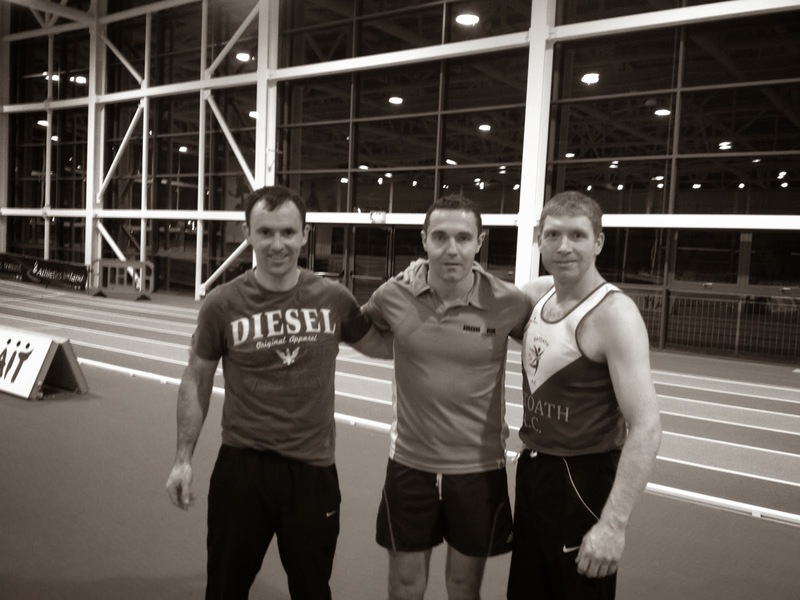 The All Ireland Master Indoor Championships was held last Saturday week the 25th in Athlone. We had 6 athletes competing from the club which was a record number and we hope more master athletes will be encouraged to participate at the up and coming Meath, Leinster and All Ireland track and field outdoor championships. Colm Keogh back competing after a 2 year break showed no sign of rustiness taking the M1 60m in a time of 7.7s, Peter Doherty competing in the M2 category won the 60m also in a time of 7.54s. Siobheal Cummins was in great jumping form winning the W3 high jump with a terrific jump of 1.45m. John Wallace also medalled in the M3 60m huddles finishing second. The highlight of the day was the Master men’s relay, this was a first for the club to have a Master men’s relay team entered at an All Ireland Championships, Peter Doherty, Colm Keogh were joined by Henry Fleming and Hugh Kelly to make up the 4 x 200m team. The competition was of a very high standard and the Ratoath team put in a great performance finishing second to Templemore the current All Ireland outdoor champions.